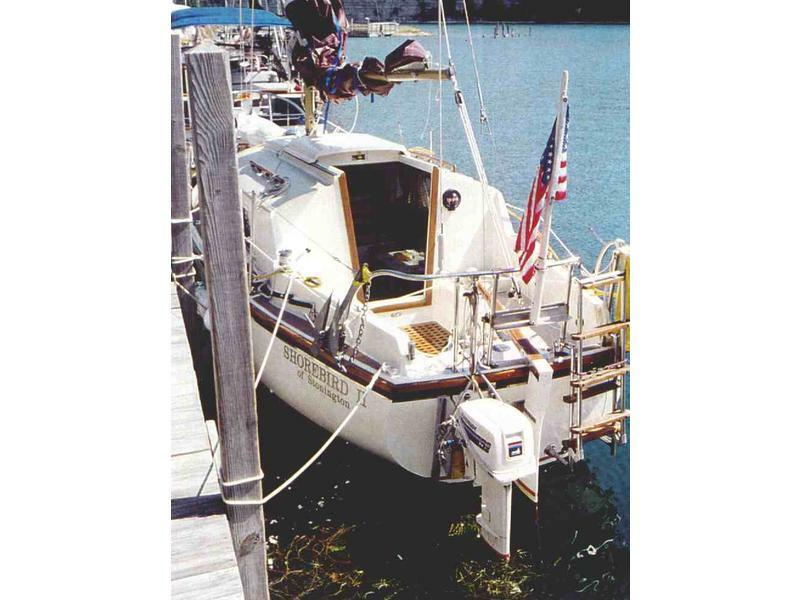 V-verth, enclosed head with a porta potty with deck pump out, settee with removable table, 2 very big quarter berths, large cockpit with bimini. Really all this boat needs is a good home and her wiring upgraded. 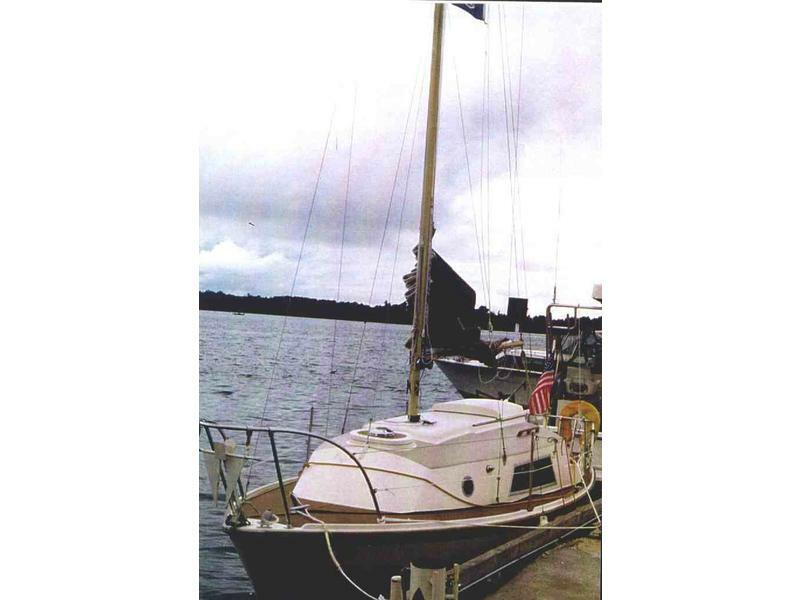 I have been living on here and been anchored out in 45mph gusts and always felt safe and secure on her. Never go hard a ground again. She draws only 2’9″. When the tide goes out you are sitting level. Makes her a ideal boat if you have a lot of shoals in your area. 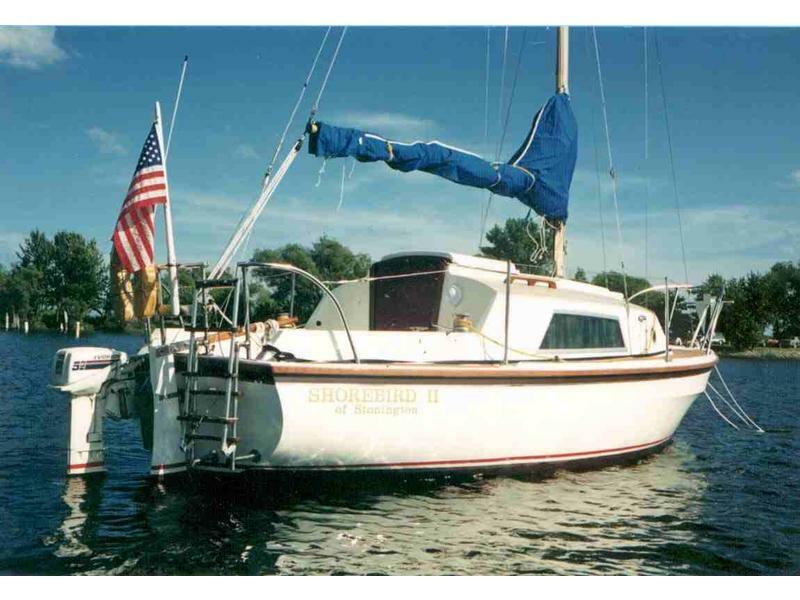 Tired of reefing at 15 knots of wind, this boat is coming alive. I reef at 25 knots. This boat was made for the North Seas. She is built like a tank. She is slooped rigged, the mast is stepped to the cabin top on a tabernacle, which means 2 people can raise or lower the mast. 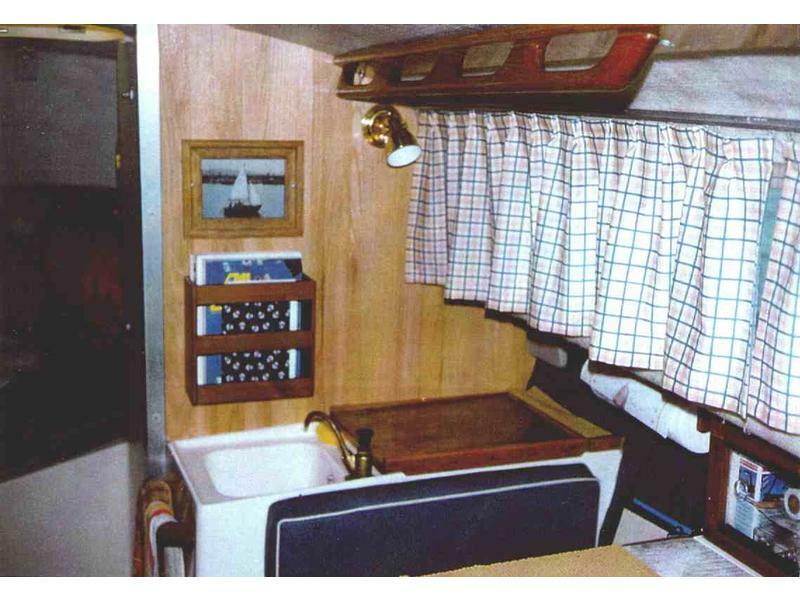 Headroom is 5’10” all the way to the V-berth, she has as much room as most 30′ boats. 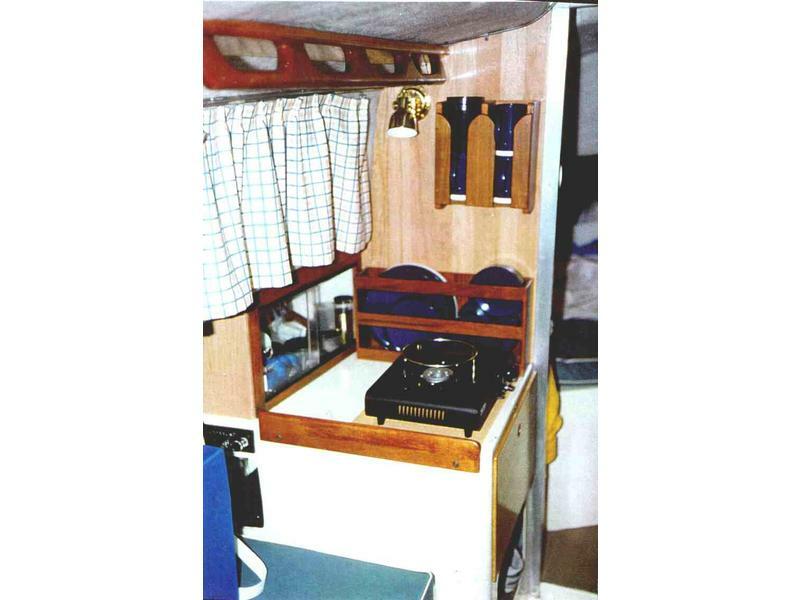 This is one of the smallest bluewater cruiser that you can trailer. She has a knuckle bow which keeps you dryer when busting through them big waves. She also comes with her Lloyds of London Certificate. 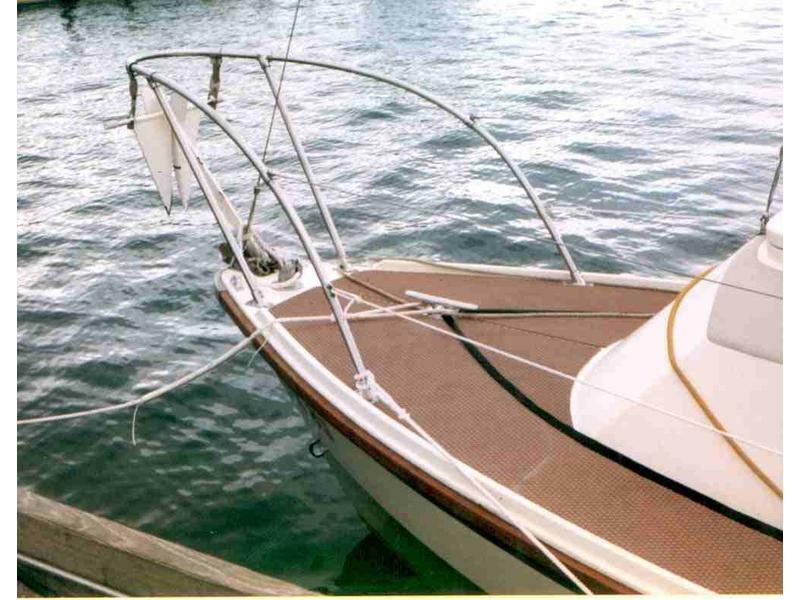 This is a boat that will carry you and your family safely to any where. Why pay expensive marina fees when you can put her on a trailer. I am living on her in Key West. I can also deliver her anywhere on the gulf or east coast for cost and exp.